WidePoint will provide telecommunication expense management services to NASA as part of a partnership with Leidos under a potential 10-year, $2.9B information technology support contract. Work under the NASA End-user Services and Technologies contract awarded to Leidos earlier this month will take place at 10 agency centers nationwide, WidePoint said Tuesday. 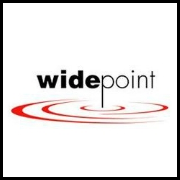 The scope of WidePoint's work also includes 24/7 help desk support for more than 20K devices and management of mobile services. NEST encompasses personal computing hardware, standard software, supporting infrastructure and other related end-user services. The indefinite-delivery/indefinite-quantity contract has a base performance period of two years and three months along with a two-year option, a one-year option and five one-year award term options.